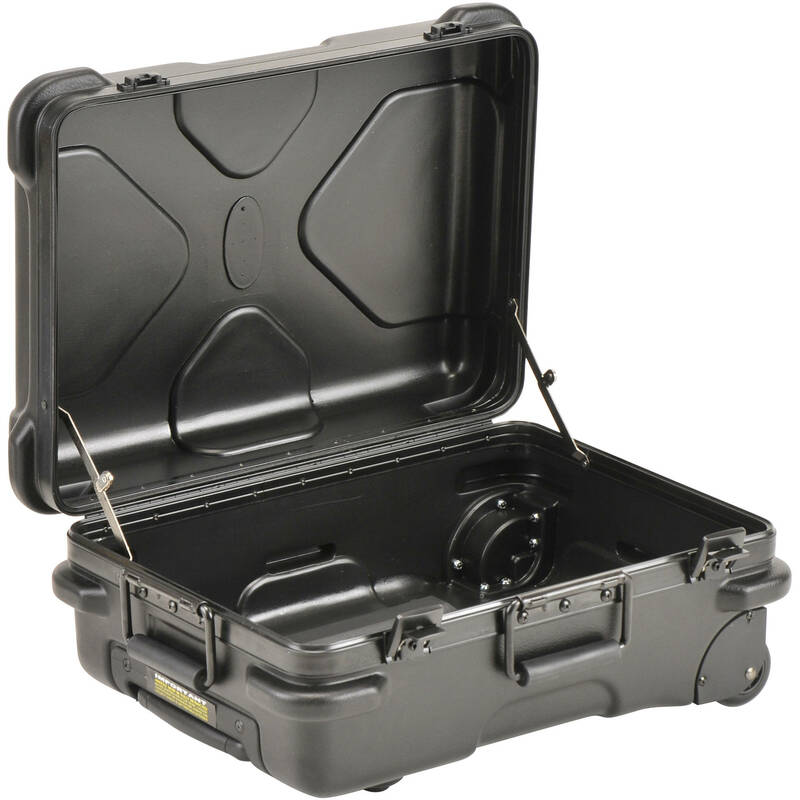 The SKB 3SKB-1913MR MR Series (Military Retractable) Handle Case is a rugged, maximum transport container made to work with audio, digital, photo or video equipment. It has a telescoping, retractable pull handle, comfortable spring loaded side handles and built-in "roller-blade" style wheels. It is made from molded impact resistant high density polyethylene and has molded in bumpers to protect the hardware. Box Dimensions (LxWxH) 21.7 x 15.5 x 10.6"